In 1953, Genichi Kawakami, Yamaha motorcycles’ first president, was looking for a way to make use of idle machining equipment that had previously been used by the company to make aircraft propellers. Market and competitive factors led him to focus on the motorcycle market. By 1954, Yamaha had produced its first motorcycle, and four years later they became the first Japanese maker to enter the international racing arena. Yamaha Motorcycle Co. took an impressive sixth place in their first race, and this made a lasting impression among American race fans. From the mid-1960s on, most off-road motorcycles were powered by two stroke engines as they were lighter and more powerful than their four-stroke rivals. 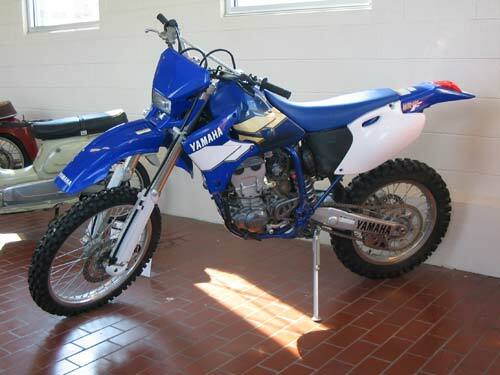 The Yamaha WR400F was a groundbreaker, as it was the first of a series of four-stroke bikes that entered the market to upset the dominance of two-stroke off-road bikes. It was both powerful and reliable, due to its superior engine design. Manufacturer: Yamaha Motor Co. Ltd.